Do you want people with dementia to feel more at home in long term care? Do you see yourself supporting local nursing homes in transforming themselves from clinical environments to warm, friendly spaces? Would you enjoy helping staff to learn more about the elders in their care? You are intrinsically motivated to help people with dementia. You are already involved in a professional or voluntary basis with person centred dementia care. You understand that applying person centred practices take time. You are willing and able to put the time in. Over ten years ago Carolyne’s mother, Margaret, started to become confused and have difficulties with finding her way home - she was diagnosed with mixed dementia. And Carolyne began her association with dementia friendly communities and culture change in assisted living facilities. Alongside True Doors Carolyne works as a facilitator for Dementia Australia and is also an Eden Associate. We began our cooperation early in 2017. Carolyne’s first project at Mercy Health Aged Care Bendigo took 6 months to complete. Carolyne was deeply involved in all aspects of the project and took pictures of residents previous doors. 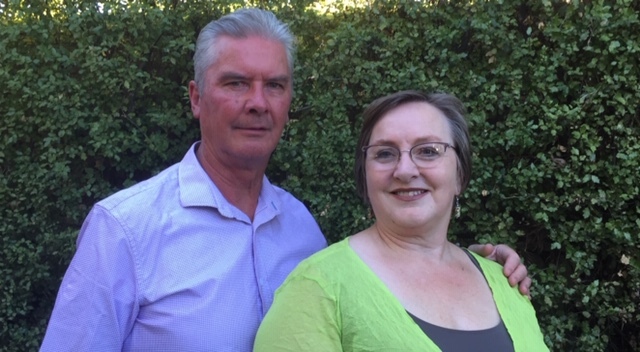 In the picture above Carolyne is pictured with her husband, John, who helps out when there are decals to be applied at homes around Victoria state. Read about the results from the first year of projects. Ashley and Daphne are co-founders of Person Centre Universe (PCU) whose mission is to empower aging communities through education and mentoring, in order to strengthen the Person Centred values in care. Alongside PCU they work as activities and executive directors at separate nursing homes in New Brunswick. Both homes are on Planetree Journeys. Ashley and Daphne met when they studied Gerontology together at St. Thomas University. We began our cooperation in summer 2018. The first project at Nashwaak Villa project took 6 months to complete, weaved Elder choice, community involvement and life stories into project. Read about the Nashwaak Villa project. 15% of revenue on each project you support. Resources to help you ensure successful person centred projects. A sense of fulfilment from improving elders' quality of life and fostering culture change in long term care. You are comfortable using using Skype / Google Hangouts, shared documents, email and other digital tools. A introduction video and three reports explaining the research and results about True Doors. 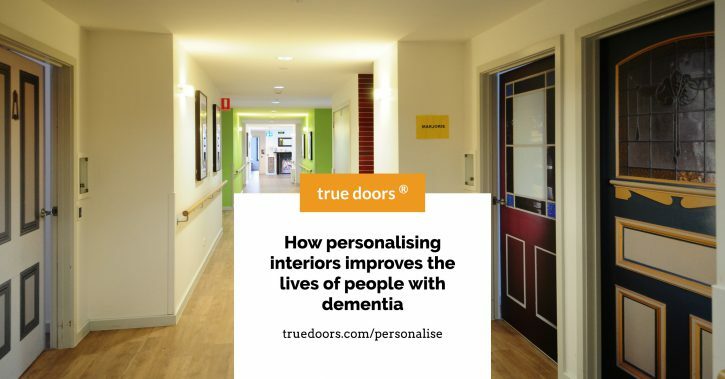 Simple and powerful ideas to help people with dementia, looking at 35 years of research findings from around the world with feedback from True Doors projects in nine countries. The Trimbos Institute is the Netherlands Institute of Mental Health and Addiction. This report summarises their findings of one of our first projects in 2015. We are grateful that you are considering becoming a True Doors Partner. Partners usually begin by finding a local nursing home that would like to take part in a pilot project, involving one section/wing, which tends to be around 6-12 doors. The aim is to gain first hand experience of supporting a person centred project. This means that elders are supported in deciding themselves which decal is right for them, rather than care providers / staff / family making the decision. It is helpful to already have one or more nursing homes in mind when completing this form.